A Gun Truck for Iraq. I have a fondness for armed light vehicles, jeeps, trucks what have you. 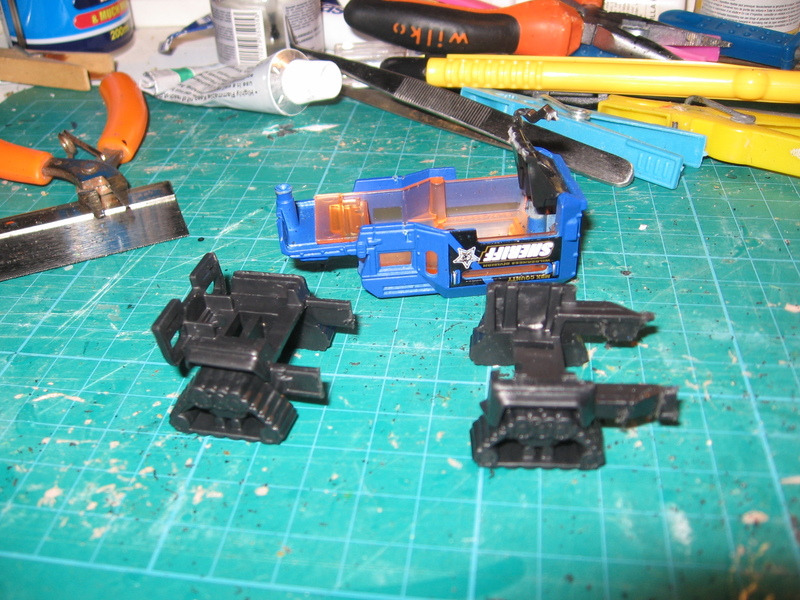 I find them fun to convert up too- bits of plastic card and cheap diecasts with bits from the spares box… that will keep me happily occupied in the shed for a few hours. 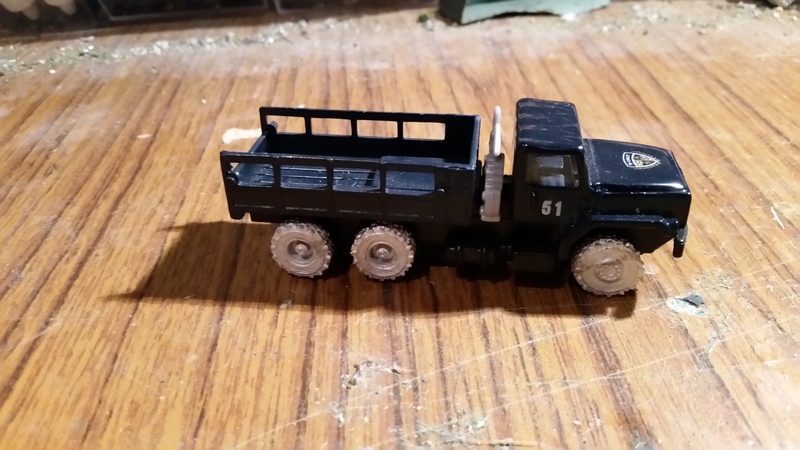 Ages ago I found some trucks in the Pound Shop in town that were a passable representation of the US M939, to improve them I gort some replacement wheels from S and S models. Like so much they were boxed up and put in the shed and half forgotten about. But now the weather is improving I’m trying to tidy it up and I was fed up of kicking the box around so I decided to get cracking with them. 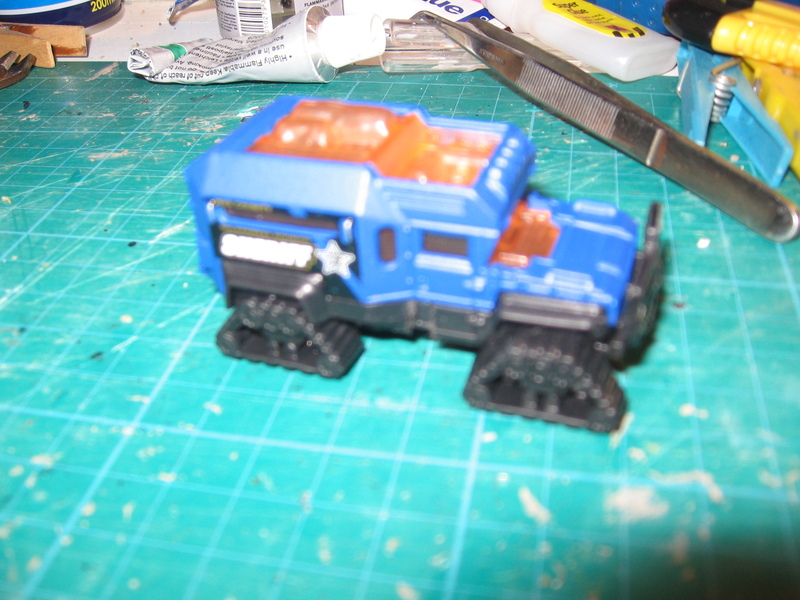 This is the basic truck with the tilt removed and the wheels replaced with the white metal alternatives. Plating was added with plastic card to represent the armour shets that were added inthe early pre MRAP days- the so called ‘hillbilly armour’. The gun is the venerable M2 HMG with came from the spares box, as did the plastic ammo boxes and tarp. This top view shows off the ammo boxes and tarp better. A coat of grey primer (also from the pound shop) ties it all together nicely before painting, which will be the next step…. 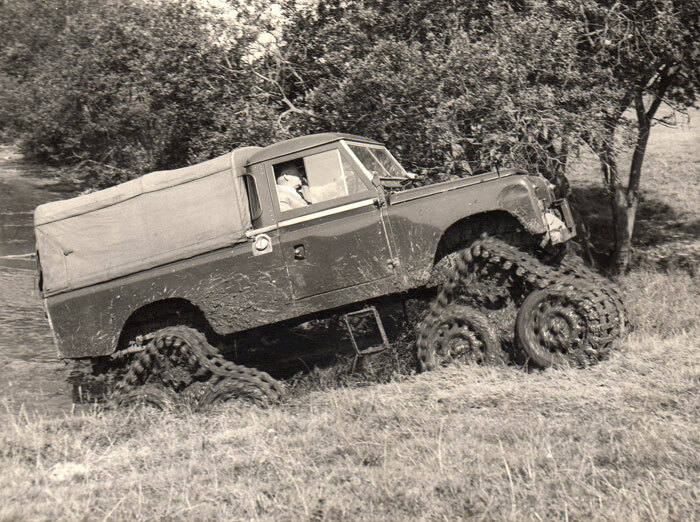 More on the Land Rover conversion. 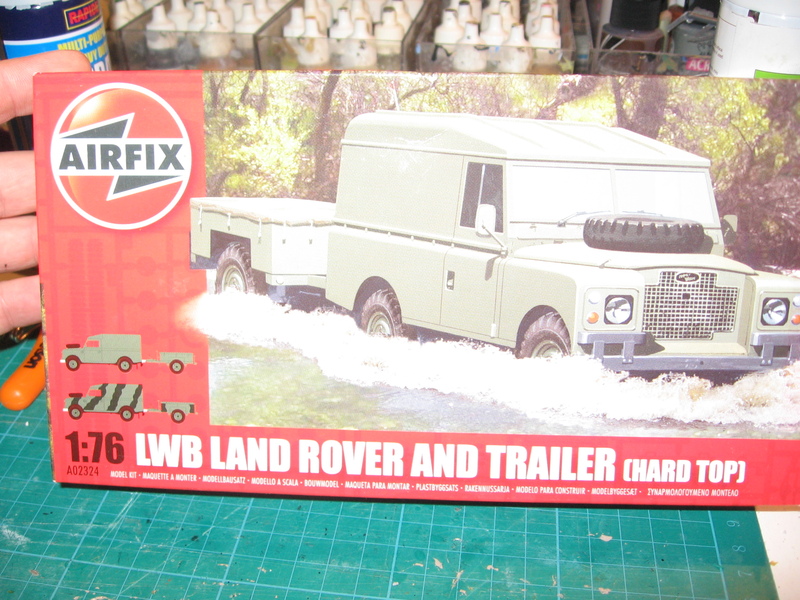 I have finished the converting of the JB/ Airfix Land Rover to a tracked version. It is currently sat on my work bench under a coat of green paint but I’ll wait until it is finished before I photograph it again. 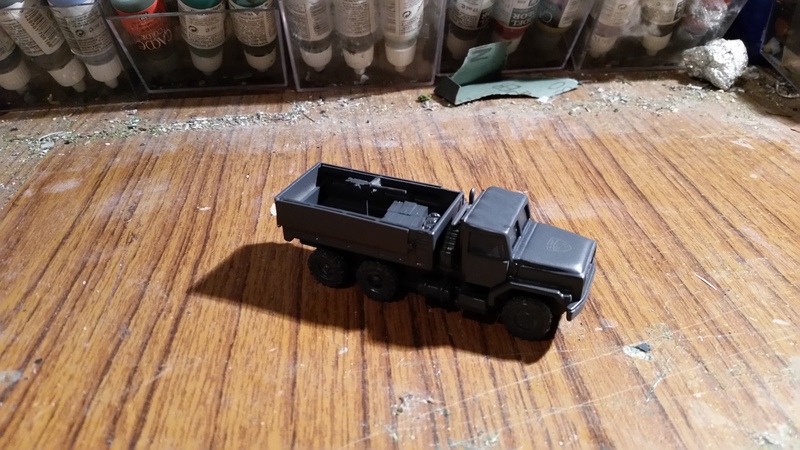 I learned a lot from doing the conversion and it has given me the motivation to do a few more. Though should I do another there are several things I would do differently. 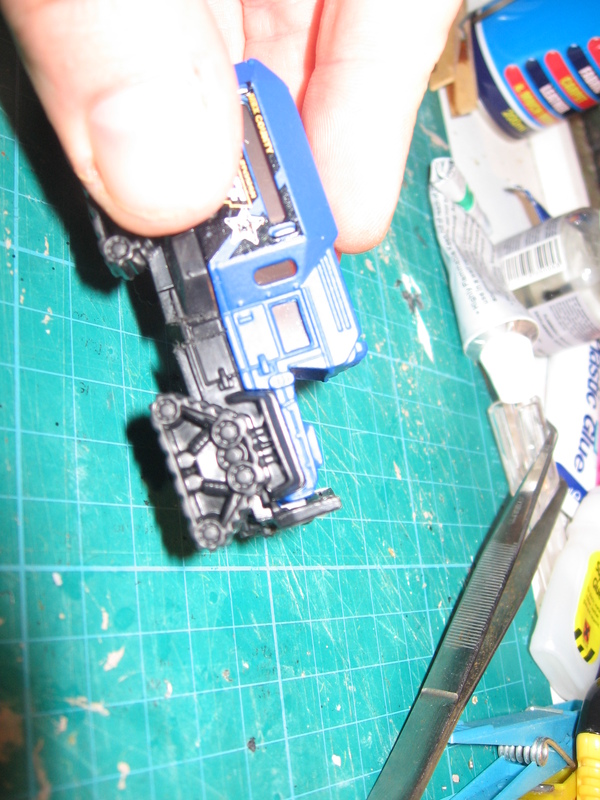 Mostly this concerns the track units: rather than glue them on separately I would make them up as axles then mount them to ensure better symmetry. 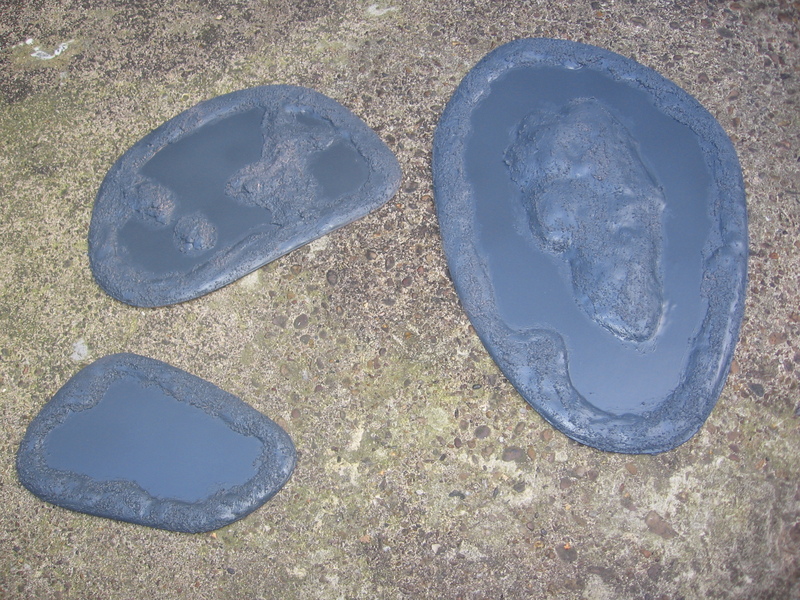 The soft plastic that they were made out of took quite a lot of carving and gluing, I would have much preferred to have had all the parts made from polystyrene plastic but you can’t have everything…. 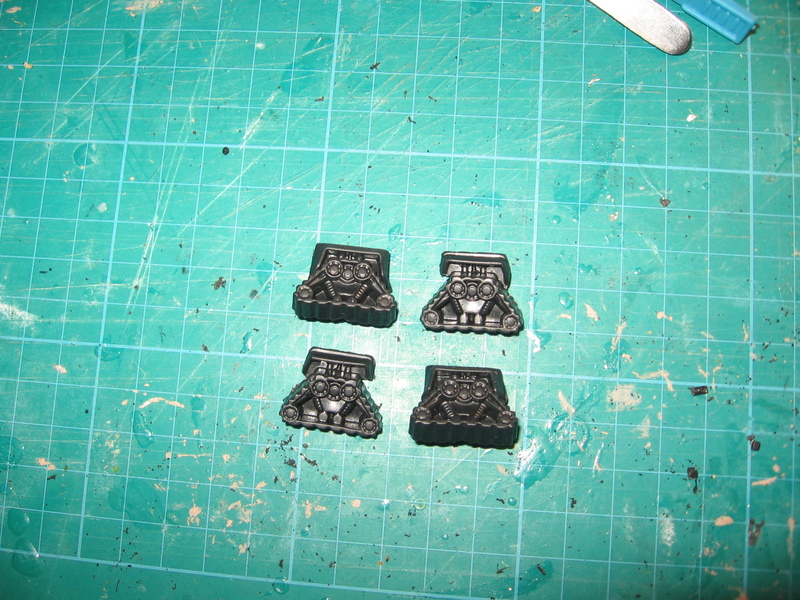 Here they are primed ready for paint, the picture doesn’t give any idea of scale but the smallest is slightly bigger than A5. I have added extra texture to them too. Again they’ll be photographed again once they have been completed. My shed has been resembling a small scale back street garage recently (probably due to those Discovery Channel show I watch when insomnia strikes). 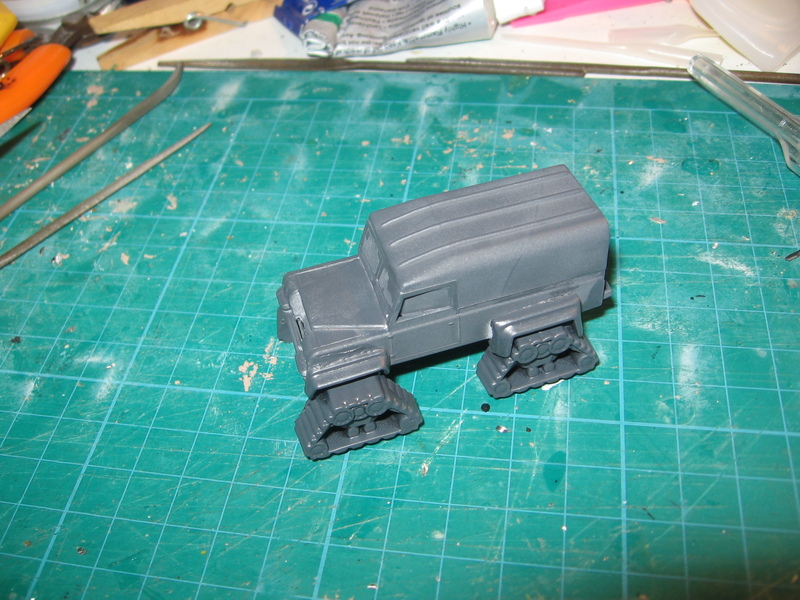 I have chosen to make a tracked Land Rover. 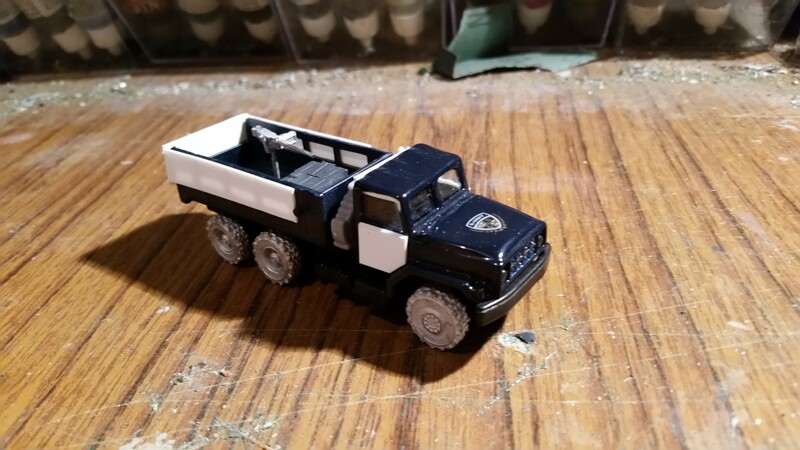 It was inspired by a blog post by Mike over at the Bunker Talk blog who was showning off his latest diecast finds. I thought one looked perfect for a conversion I had in mind but had other wise dismissed as too awkward. The remained of the diecast was saved to be turned into part of a scrap heap. 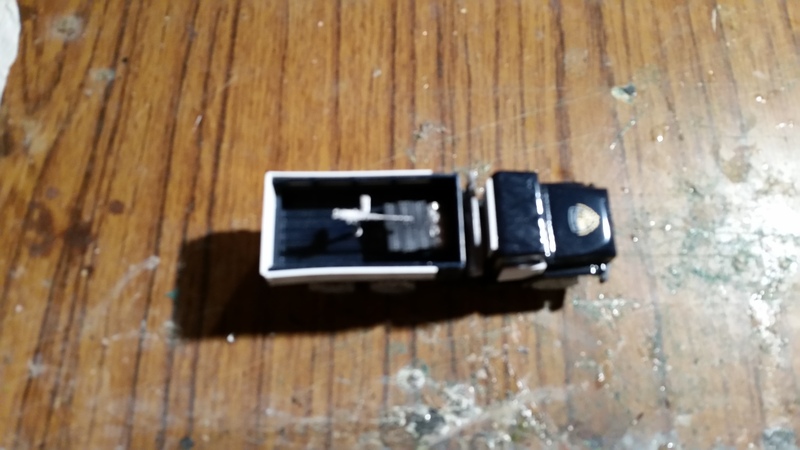 The next step will be to make up the plastic Land Rover but leave off the wheels then attempt to marry the two parts together.